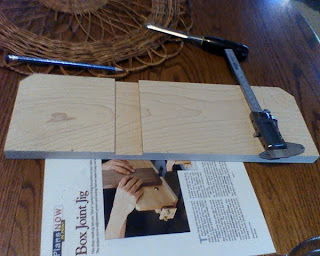 Making a Guitar: Slight Diversion – Box Joint Jig. 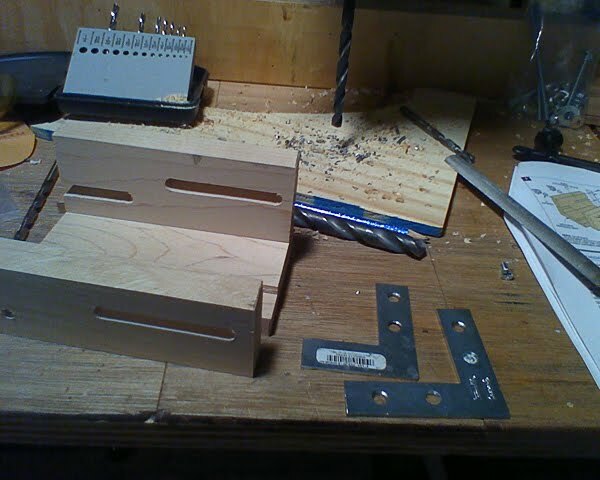 I ordered box joint jig plans and hardware when I purchased my new table saw. So what does this have to do with Guitar making?... Nothing, other than the fact that this is what I was building yesterday while not building the guitar. What it will do is allow me to make some drawers to put under my work bench so my shop is cleaned up. My son scolded me the other day while we were tearing apart wooden pallets stating "Dad, why don't you finish one project before starting another..." Good point – for sure, but the guitar will take me (at least) a couple more months to complete and I just needed a break from sanding. The fence for the jig (above and below). 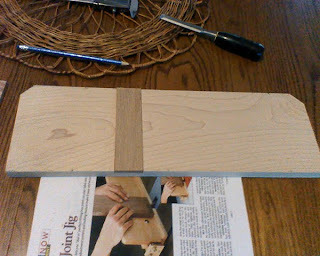 The dado will allow for a replaceable hardwood board to discourage tear-out. 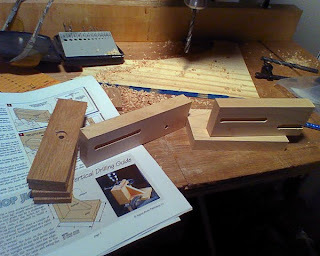 Below are the L bracket and sliding blocks to allow for the micro adjustments of the kerf and distance from the blade. I will be completed with this build tonight as I only have about 1 more hour worth of work to do on it. Then I will be back to working on the guitar. Hoping Stewart Mac' delivers some binding tonight so I can complete the sound hole on the sound board.